Is your shopping done? Have you gotten all the gifts on your list? If not, you’re not ready for Christmas. It takes quite an organized person to bring this about so early in the season. You still have two weeks to shop, select necessary items, make catalog purchases, order gifts online, and perhaps have time remaining to gift wrap, package, ship out, then take a deep breath of relief. You’ve got it all in hand. You’ve done your duty, to family and friends. On the other hand…are you ready for Christmas? Are you ready to celebrate the birth of our Savior, Jesus Christ? No shopping list needed, no gifts to buy, no weeks of shopping ahead, no hurrying and scurrying here and there in a frantic rush amid the masses. All you need is an open heart and a listening ear. Your Heavenly gift to us so long ago on that dark night in Bethlehem town. No one heard His coming as Mary gave birth in a lowly manger. The angels heralded the news to meek souls below, as they told us that a Savior was born, which was Christ our Lord. As we sing praises and glory to you this Christmas day, we give thanks for this precious Child, our King. Come into our hearts, abide with us, O Lord, be born in us today! In His dear name we pray, amen. Are you truly ready for Christmas? May we join together and say a heartfelt amen to that. AMEN! 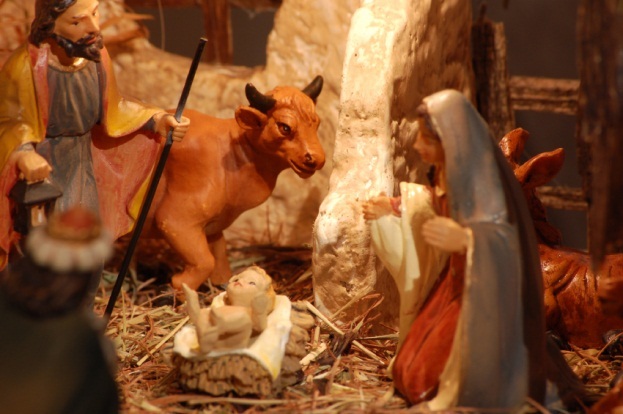 This entry was posted in Devotionals, HYMNS, Just a thought... and tagged Bethlehem, Christmas, Christmas shopping, Jeanne E Webster, MANGER, Savior. ← Oh My. . .How Sweet!